Aviomania is the island’s first and only aircraft manufacturer! 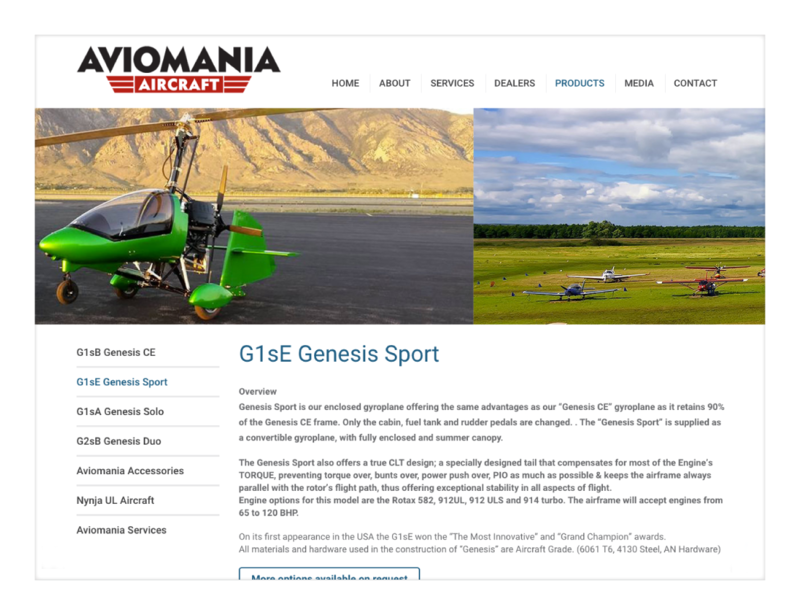 A dwarf among giants, Aviomania dared and managed to establish itself in the global scene as a select producer of cutting edge gyrocopter designs. We really wish to see the island’s industry pick up the pace and make our little country proud as well as see our compatriots dare to venture in uncharted territory and break new ground! We feel honoured to have been selected by a pioneering company and wish all the best to Nicola’s endeavours. We hope that the new website will boost Aviomania’s sales as well as enhance its image across the planet.